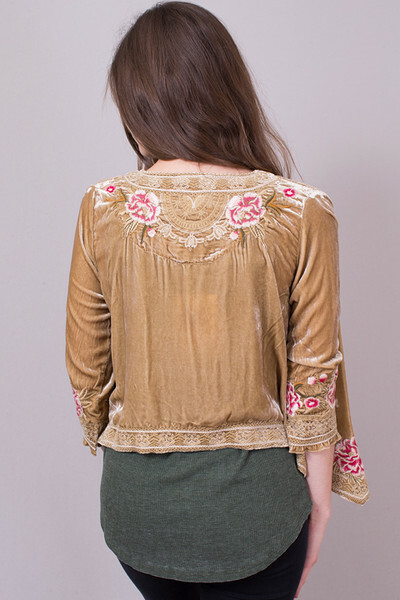 The Leith Velvet Bolero made by Johnny Was features a gorgeous golden brown body with the most beautiful embroidery. 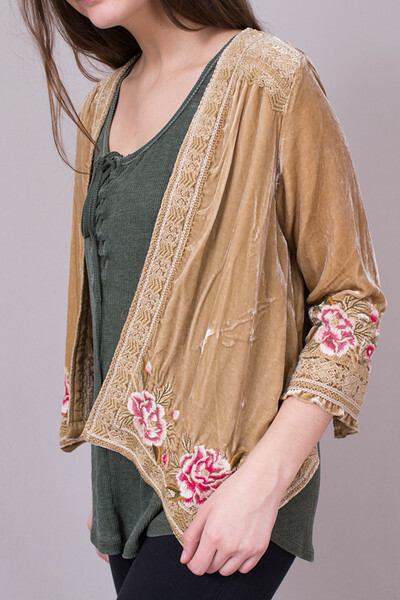 This jacket has 3/4 length sleeves, a slightly cropped back, draped front and vibrant pink embroidered flowers. This velvet jacket is perfect for the holidays to pair back with a dress or over a blouse to put you in the holiday spirit. 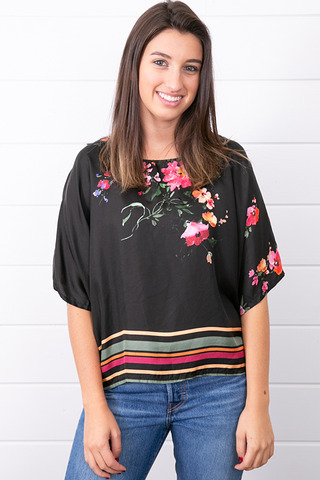 82% rayon and 18% silk. Dry clean only.